During the past 15 years working at the SABMR, I have travelled many times to distant places to collect harvested stem cells for our patients. Two particular trips stand out most in my memory. Of course my very first courier trip when I was asked to fly to France to collect stem cells from a donor that had been identified for a young child in Cape Town and a trip to Taiwan. I remember my first trip so clearly – I was absolutely terrified! 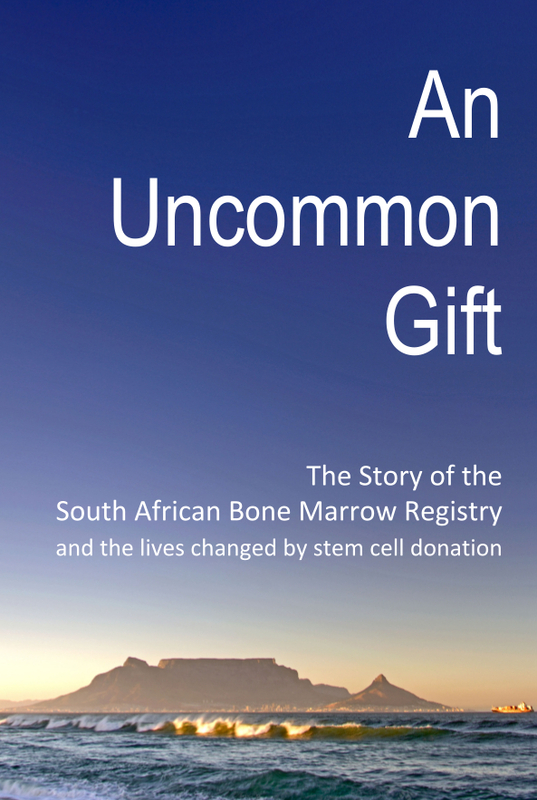 Travelling for the first time to France, with minimal French, and of course the enormous responsibility of successfully fetching the stem cells from the hospital in Strasbourg and getting them safely back to Cape Town in time for transplantation. I am delighted to say that the patient engrafted successfully and is alive and well today. Stem cell couriers are supposed to be able to cope with any emergency that may arise, but not many will expect to cope with an impending typhoon! This happened on my trip to Taiwan. It was the first time we had identified a suitable donor from the Buddhist Tzu Chi Stem Cell Centre in Taiwan for one of our patients and I volunteered to make the trip. 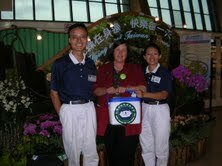 Prior to leaving, I had worked closely with the Tzu Chi Registry, who had arranged for a Buddhist nun to collect me from the airport and take me to my hotel in the city of Hualien. On our drive to the hotel, I will never forget when the nun said to me … “Do not be alarmed, but the typhoon is coming – not to be afraid”! Of course I was afraid – we don’t get typhoons in South Africa! She explained that I would be perfectly safe in the hotel and that the donor had already been brought into the hospital to begin with the stem cell harvesting. She said that according to the weather prediction, she thought it was most likely that the typhoon would have passed by the time the cells were harvested. Soon after I arrived at the hotel, the typhoon started raging. The hotel windows were boarded up as the winds reached over 250km/hour. For a whole day the hotel swayed and I prayed! Meanwhile both in South Africa, the SABMR harvest coordinator together with the Tzu Chi coordinator busied themselves finding an alternate travel route for me to leave Taiwan for Hong Kong and finally back home to South Africa. And while the remnants of the typhoon raged, the donor was in the hospital – with a skeleton staff in attendance in a nearly deserted hospital – donating the precious stem cells. The next day, the typhoon had passed and I travelled to the hospital to collect the cells. Before we left, Master Chen, the founder of the Registry, held a blessing ceremony over the donated stem cells and sent me on my way. Five years later, I am thrilled to say that our patient is alive and doing well! That experience truly changed my life!